Lindy was elected to the F3 committee in 2004. She enjoys her role as secretary and is hopeful that she is doing a ‘good job’. 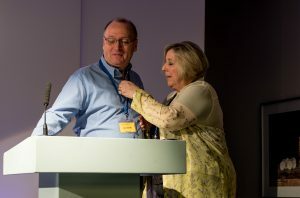 Lindy assisted Tony Sammes when he set up the Centre for Forensic Computing at Cranfield University, Shrivenham in 2003. 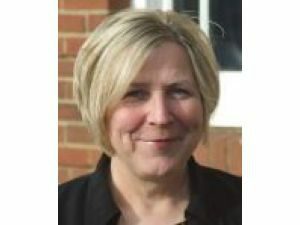 Until the end of 2012, when she left as a result of redundancy, she was the manager of the Centre, a varied role which included the day-to-day running of the Centre; acting as casework manager and exhibits officer; course/student advisor; she was also responsible for business development and marketing. With an extremely quirky sense of humour and a complete sense of the ridiculous, Lindy is always the first to laugh at herself. She is, a self-confessed workaholic; and spends what free time she allows herself relaxing with her son and daughter and their families. At ‘29’, Lindy is a very young and proud grandmother of Megan, Maisy, DJ and Brooke. Her interests include long distance walking (founder in 2005 of ‘Fingerprints & Footsteps’ (http://www.fingerprints-footsteps.co.uk, dedicated to raising funds for good causes), yoga, most types of music, (from Baroque to Heavy Metal); writing poetry and short stories. She is currently ‘into’ WWII military history, especially the Normandy Campaign of which, her father was a veteran. She is currently researching his military career, also his fathers, awarded the DCM in WWI and her Great Grandfather who fought in the Boer War. Lindy also likes fast cars…….but sadly doesn’t have the bank balance to go with it! !